Has it really been 20 years? Blimey! 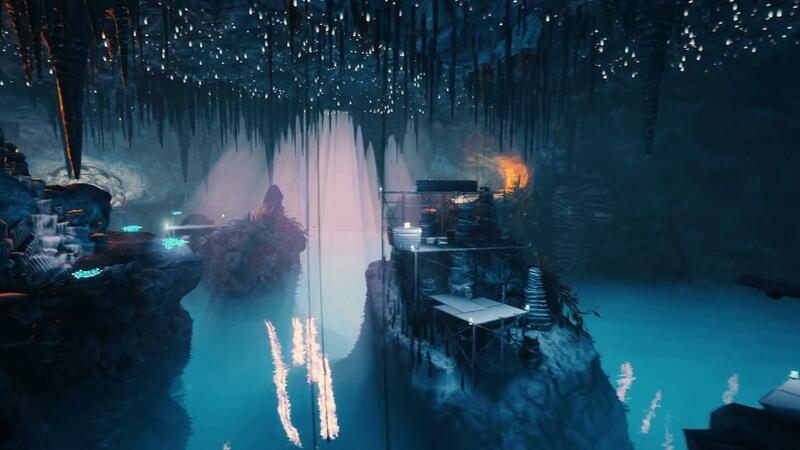 Black Mesa, the fan-made recreation of the original with plenty of bells and whistles has a trailer for the hotly anticipated Xen levels. As for when we might finally see the Xen levels ourselves? The Black Mesa team say they're aiming for Q2 2019 so we still have quite a while to wait on it. Good things come to those who wait though, no one wants to see it rushed. They say they're happy with the design and they want to ensure it's fun. Most of it is "design locked and functioning as intended" so the remaining time is to just finish it all up. They're estimating the Xen levels will take around 6 hours, more if you're a keen explorer. It's also interesting to see how they made more of a splash about Half-Life being 20 years old than Valve themselves did, which was, well—nothing. grigi The original Xen definitely had laboratories on there. And this looks really good. It has me excited, as the original Xen was by far the worst part of HL1. I disagree. Xen was awesome. Man, they're really pushing the original Source engine to the limit, aren't they? I haven't played the original Xen levels in twenty years. I played through them exactly once with my original copy. That's coming from someone that spent the day before bootcamp playing Half Life and the Day I got home from School of Infantry playing Half Life: Opposing Force. This actually looks awesome. Dig the music. The visuals pop and are actually interesting. I liked what they did with Black Mesa, mostly. Looking forward to this. Xen was awesome because is was really new, with interesting mechanics: low-gravity, healing pools, you get to do some sightseeing in an alien environment, see the creatures in their natural environment, etc. @Ehvis, min my ind, Xen was actually quite colorful, with a lot of creatures that emit light, coloured walls, etc. But it was honestly quite botched, buggy, difficult to navigate, and didn't quite live up to its potential. It seems like the guys at crowbar collective are really doing Xen the way it was meant to be. We get to explore more man-made installations, which are part of what the survey team built there. The survey team had been there for quite some time, performing experiments, collecting fauna/flora/rocks samples already. The sample you analyse in the begging is supposedly from there (although it was actually provided by G-man to jumpstart the resonance cascade). After the cascade, the portals to Xen were closed, and the survey team was left stranded on Xen. The portal is then reopened to allow Freeman to Xen and close the superportal from there. I don't recall if you see man-made structures on Xen in the first Half-life, but they definitely make sense, as do the bodies of the survey crew you find scattered here and there. The half-life universe is really all about teleportation, and almost like a reflection of what happens when an isolated group is put in touch with globalization and colonization. It is difficult not to draw parallels between the combine invasion and the European colonization. One surprising thing with Half-Life is how much lore there is to it. You don't realize it at first when playing, but the rabbit hole really goes quite deep; Marc Laidlaw and the valve team really made a masterpiece there (although much of it grew organically, of course). Here is an interesting theory I came across recently (G-man's motivation is stopping the Combine from acquiring local teleportation), and it seems to make sense.